Spring, Texas – March 21st, 2018: For approximately one week, a helicopter has been seen circling above the Spring area. The helicopter has spent an average of 3 hours and 45 minutes in the air each day, circling an area approximately 7 miles wide, between I-45 and David Wayne Hooks Airport, and between Spring Stuebner and Cypresswood Drive. The helicopter, tail number N629ET, a 2012 Bell 407GX, is registered to a company in Bristow, Virginia under the name OTV Leasing. 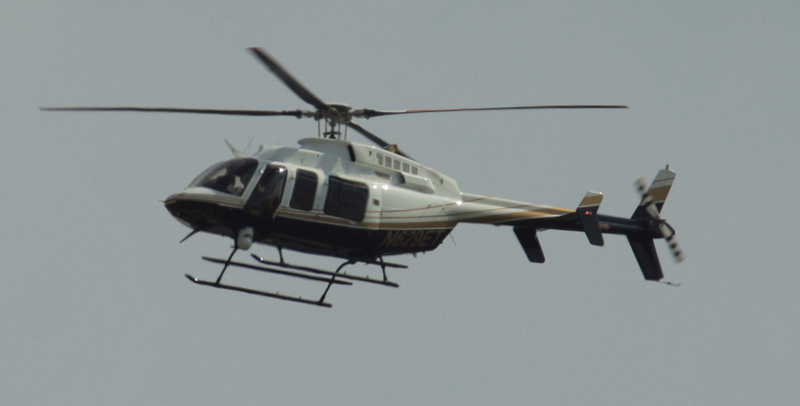 Based on historical flight data obtained by Spring Happenings, the helicopter was used in operations above Washington, DC just prior to relocating to Spring. We have reached out to the Houston FBI office for a statement but have not yet received a response.